GIGLI (code 40) Retail - G.d.o. 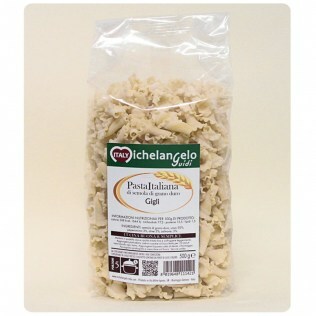 DESCRIPTION: It is a very well known type of pasta throughout Italy, easy to cook, suitable for matching with light sauces, such as light meat ragù sauce or tomato sauce. 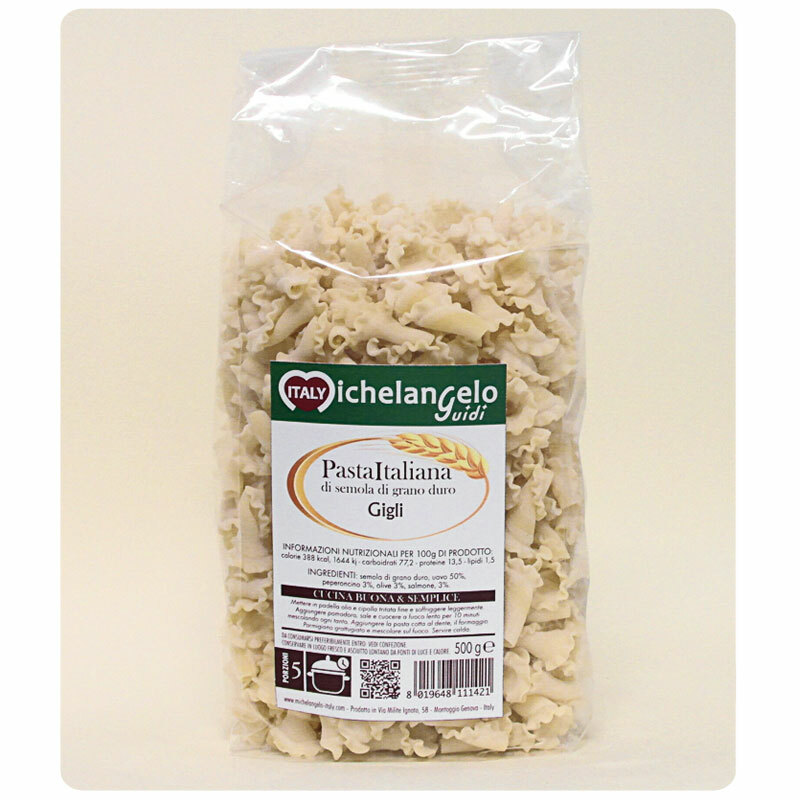 All our dry pasta is made upholding the artisan tradition passed on by old master pasta-makers , which contributed to make the tradition of Italian pasta popular worldwide: drying at a very low temperature for highly prolonged periods of time, use of durum wheat flour of excellent quality. COOKING TIME: 5 minutes (“al dente” as we love it in Italy). A few more minutes for those who like it a little softer.